Naiknavare Esmeralda in Kadamba Goa is a project which is developed to transform dreams into reality. 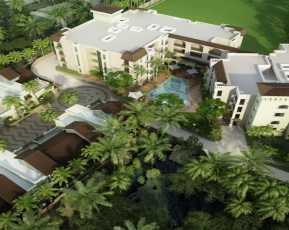 It is trusted for providing luxurious residential amenities to its residents. Naiknavare Esmeralda offers ready to move-in residential apartments in Goa, which are equipped with rare-to-find amenities. Possession date is available on request for different properties. House spaces comprise of 2BHK and 3BHK apartments of varying sizes. Overview of Naiknavare Esmeralda includes authorization numbers of legal credibility and satellite images are available for your quick guidance and real-time decision making, for choosing the right property for you. Naiknavare Esmeralda is in Kadamba Plateau which is the red-hot destination, emerged recently for residential apartments in Goa. The reason for Naiknavare Esmeralda popularity among buyers is its upmarket residential complexes which are planned and well-built. Unlike most of Goa, having haphazard developments, this part has some of the most luring building infrastructure ready to qualify the real definition of smart housing projects in India. Naiknavare Esmeralda has everything that a classic of Goan Culture had from restaurants to hotels, bars, coffee houses, and fast food stalls, all in the vicinity. A safe and well-developed neighborhood gives access to multi-specialty hospitals, illustrious schools, banks, shopping malls, ATMs and even the Universities and colleges. Multi-purpose Rooms have enough spaces for accommodating family and friends on events. The Naiknavare Esmeralda residential complexes have excellent designs of Jacuzzi, Spa, Club House, CCTV Surveillance System and Video Door Phone with Intercom, Landscaped Garden Area, and convenience shops. Naiknavare Esmeralda also have Exclusive amenities like swimming pool, gymnasium, and adequate parking facilities are also included. Some amenities of Naiknavare Esmeralda are Kids Play Area, Wi-Fi Connectivity, 24*7 hours security and landscape gardens; are exclusively developed for making family-living a comfort. Internal features of rooms provide modular kitchens, spacious living rooms, and excellent floor plans. 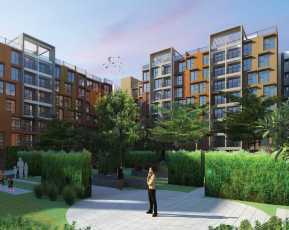 Naiknavare Esmeralda Price varies for different sizes of residential spaces. 1BHK houses are available in 534 sq.ft to 876 sq. ft having a price range of INR 32.24 lac to INR 52.90 Lac. 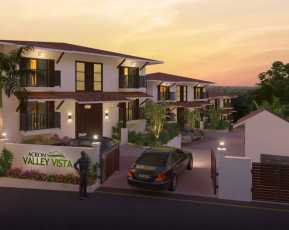 2BHK houses are available in sizes of sq.ft 1013 to 1199 sq.ft ranging from INR 61.17 lac to INR 72.40 Lac. 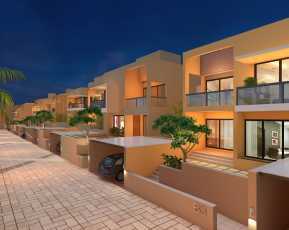 There are also 3BHK apartments, and villas available in different sizes and price range. 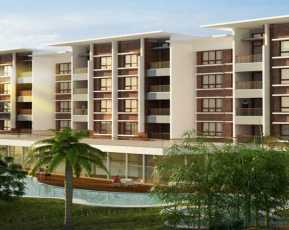 Naiknavare Esmeralda is known for offering most fairly-priced properties. This Property in Goa is a new synonym for affordable housing without compromising for your choices and dreams. Investing in Naiknavare Esmeralda is going to give a higher return in the coming future, due to soaring prices of Property in Kadamba. It is better to make a wise choice than to repent on by investing in properties that don’t promise your dreams. Easy payment plans are available along with low EMI costs, making it suitable for all income group buyers to grab their Home in Naiknavare Esmeralda. There are reliable services and real-estate advisers for providing customers legal assistance in property dealing. Also, there are free real estate consultations, legal consultation, home loan consultations and after sales assistance for credibility and professionalism.